It’s peer workshop day, so now what? 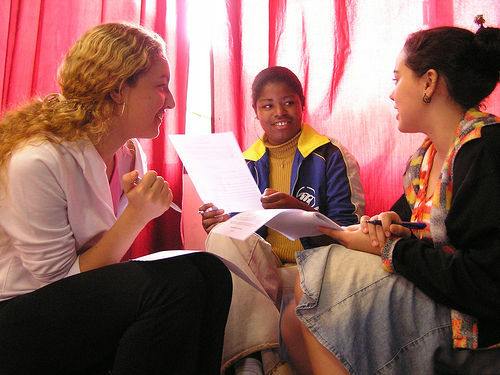 Depending on how your instructor organizes the groups, you’ll probably be asked to read your essay aloud. Why? Reading aloud is the only way to “hear” the language. You’ll catch more sentence-level problems by reading aloud, but you’ll also be better able to comprehend missing elements or catch nonsensical logic. Reading aloud also gives you the ability to see the reactions to your piece. Some writers prefer for a peer-group member to read their essay so they can hear it read by someone else, as often we’ve read our own pieces so many times we read into things that may not be there. Either way, make sure to hear your essay aloud. Last week on our blog we talked about different types of assignments, including literary analysis, summary, and response or reflection essays. This week we’ll talk about two different types of research papers: analytical research papers and argumentative research papers. A research paper is a type of essay that requires the writer to investigate and integrate sources related to his or her subject. It is not a summary, nor an exposition, nor an opinion piece, but might take on elements of all of those genres. 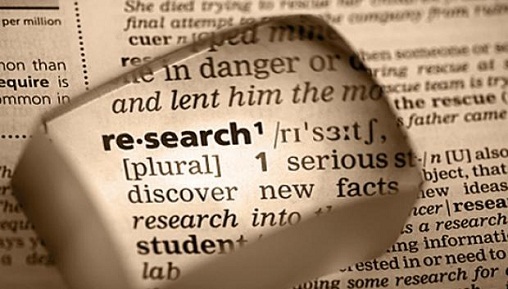 Research papers offer an informed study of a topic that engage outside source material, including primary and secondary sources, to offer other perspectives on an issue. The goal of an argument paper is to persuade the audience of the merits of a debatable topic. If the topic is not debatable, meaning there are two sides to the topic, it is not considered argumentative. The writer of an argument paper must make a claim (the thesis statement) and back it up with source material. Outside research is included to support and prove your point, or claim (thesis). The writer of a successful argument paper will spend a good amount of time pouring over research that best supports his or her argument. The argument paper will also include opposition. If there is no opposition, there is no argument. Body piercing is popular among the youth of today. There are a lot of benefits to using computers in grade school. There are some negative and positive aspects to lowering the drinking age. If you guessed they are not debatable, you are right. How can you reword each one to make it an argumentative thesis statement? An analytical research paper differs from the argument paper in that it often begins with a research question which the writer will explore and evaluate. An analysis leads us to determine what something “means”; what is the “how” or “why” behind a topic? A thesis statement in an analytical paper will most often answer a “how” or “why” question. Childhood obesity may result from environmental factors, socio-economic factors, and genetics. An analysis of the sandhill crane reveals conflicting research on their once-believed monogamous mating habits. As you can see, the thesis statements above do not present the topic in the form of an argument, but in the form of a statement that clearly communicates or forecasts the essays’ contents. The analysis will often analyze different points of view on an issue or topic, but may not necessarily support either side of the issue. The topic may very well be debatable, but the writer’s purpose is not necessarily to persuade the reader of a position, as in the argument paper. Literature instructors will often require students to write a literary analysis paper on an assigned reading (see last week’s blog post). A literary analysis paper attempts to present an idea about a text through careful examination of the text’s components, incorporating the writer’s insights. A literary analysis research paper will incorporate outside research or sources other than the primary text. The literary analysis will significantly expand a reader’s understanding of a text, often by making an assertion about the text. The writer might introduce a theory or interpretation (the thesis statement) about the text, then fully “analyze” this interpretation through close reading, textual support, and secondary source material. Academic jargon can often be difficult for the new students to understand. Always refer to your assignment objectives and ask your instructor to clarify any ambiguous or confusing lingo. In the 1977 edition of the MLA Handbook, the guidelines, according to Rosemary Feal, Executive Director of the Modern Language Association, suggested that “fresh black ribbon and clean type are essential.” The instructions also advised against using “thin paper except for a carbon copy” (qtd. 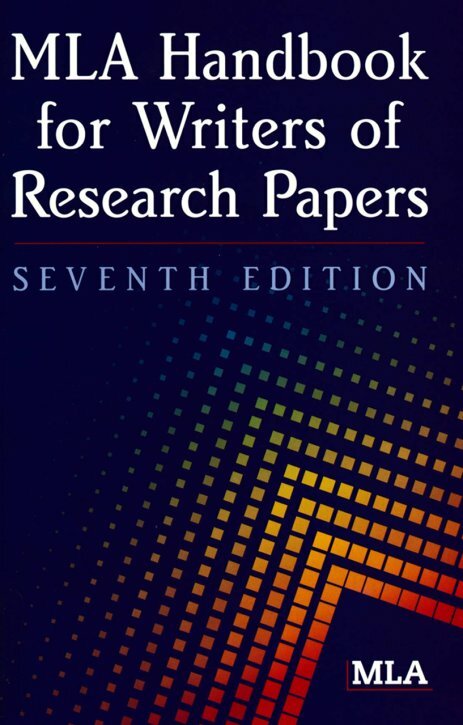 in MLA Handbook for Writers of Research Papers 7th ed. xv). The titles of the previously mentioned books would not have been in italics, but underlined. That was a more recent change. The first “MLA Style Sheet” was published in 1951 by the Modern Language Association, and through the years this style sheet has grown into an almost three-hundred-page handbook, now in its seventh edition, arguably the most-used resource for students in the liberal arts and humanities. Most students coming into college today, unless they are fans of Mad Men, would most likely have no idea what black ribbon or carbon copy refers to. I learned to type on a typewriter (yes, I’m old) and the only web I knew came from a spider. With the explosion of the internet in the last thirty years, changes to citation styles have been as rapid as the rise in hemlines. The returning non-traditional student who has been away from school for a few years may find many of the rules of MLA style they thought they knew have changed. Ex: “Smith […] found the outmoded research […] a hindrance to his formula” (Jones 55). NEW: The current guidelines state to only use the ellipsis when omitting material; brackets are no longer suggested. Ex: In an essay on urban legends, Jan Harold Brunvand notes that “some individuals make a point of learning every recent rumor or tale . . . and in a short time a lively exchange of details occurs” (78). MLA notes to only use brackets if adding brackets would clarify your use of ellipses. OLD: Titles of larger works, such as books or magazines, have always been underlined. Ex: The Catcher in the Rye. NEW: Larger works are now italicized. No more underlining. Lots of changes here. Thirty years ago, this type of entry didn’t even exist. Now, often the majority of student research is done on the web utilizing their college’s database system. OLD: Previously, an article originally published in print form that was retrieved from a library database, such as EBSCO or Lexis-Nexis, would always need to have the access information of the library name and location the writer retrieved it from. Ex: “Prophetic Criticism: Oscar Wilde and His Postmodern Heirs.” Contemporary Literature. 25.2 (1984) : 250-259. JSTOR. Criss Lib., Omaha, 12 July 2006 http://www.jstor. org. Ex: Langhamer, Claire. “Love and Courtship in Mid-Twentieth-Century England.” Historical Journal 50.1 (2007): 173-96. ProQuest. Web. 27 May 2009. NEW: URLS are no longer required. All web-based sources will simply state “Web” immediately before the date of access. Ex: Junge, Wolfgang, and Nathan Nelson. “Nature’s Rotary Electromotors.” Science 29 Apr. 2005: 642-44. Science Online. Web. 5 Mar. 2009. OLD: When the only sources were print, page and publishing information were easily available. With the advent of the Web, publishing and page numbers aren’t as common. NEW: Special abbreviations should be used to indicate page, date, or other information is not available. Use n.p. to indicate no publisher or publishing dates. Use n.d. when a Web page does not provide a publication date. When an entry requires that you provide a page but no pages are provided in the source (such as online-only resources), use the abbreviation n. pag. Ex: “Newborn Feeding.” Welcome to Gerber. Gerber Corporation. n.d. Web. 18 Oct. 2008. Ex: Dolby, Nadine. “Research in Youth Culture and Policy: Current Conditions and Future Directions.” Social Work and Society: The International Online-Only Journal 6.2 (2008): n. pag. Web. 20 May 2009. With the rapid introduction of new technologies and the continued desire to simplify research, you can bet more changes are to come. 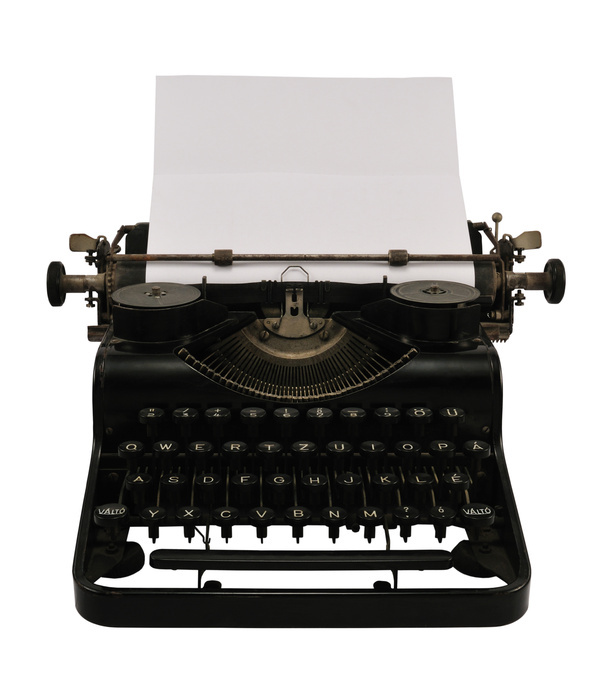 But hold on to those old MLA Handbooks: I’ve heard the typewriter is making a comeback.